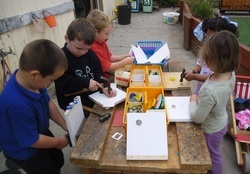 Alexandra & District Kindergarten's program is based on “learning through play” . curiosity, communication skills, and cooperative behavior. Alexandra and District Kindergarten-Exceeds the National Quality Standards. -First Session for Term Two- Tuesday April 23rd.